Hyperconverged infrastructure is a virtual computing infrastructure solution that seamlessly combines several data center services in an appliance form factor, which accelerates the speed and agility of deploying virtualized workloads, reduces complexity, improves operational efficiency, and lowers costs. ActualTech Media and SimpliVity have partnered to present the newest developments of hyperconverged infrastructure in this market report. 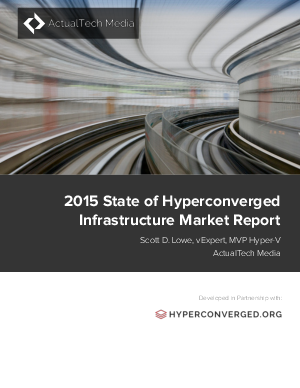 Download "The 2015 State of Hyperconverged Infrastructure Market Report" to learn more.